1:20-2:00 Grade 8 Assembly at 1:30 in the gym. 2:40-2:45 Homeroom; Notes home, Dismiss. Students have their own books. They will read in their own books for 30 minutes. If a student does not have a book, allow them three minutes to choose a novel from the classroom bookshelves. After three minutes, choose one yourself and provide it to the student. 30 minutes: Complete the Six Box Activity for your book (fiction or nonfiction). Create posters to give to the veterans --- use 81/2 x 11 or larger paper (on front desk). Hand out the images of the veterans badges. Goal: Create at least one, perhaps two “Thank You” posters to give to a veteran when you enter the assembly. Give them the poster and shake their hand. We often have 20 veterans attend. I challenge you to create 20 Thank you posters! Directions: Draw and color a “Thank you” poster with plenty of color and detail to give to the veterans. 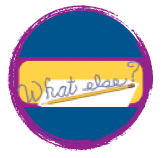 Use your own ideas or create badges similar to the ones in the handout -- your drawings do not need to be exact. Create posters for a Thanksgiving bulletin board. Your poster should include pictures and a poem of thanks. Your poem needs to be at least six lines long and does NOT need to rhyme. 4 Share 20 -- The last part of the day, students should read their poems aloud and share their posters. Collect posters. If finished early, read again in their own books. Grades 6, 7, 8: Power Write Test --- for afternoon classes. Assembly at 1:30 in the gym. You must write clearly, elaborate, and EDIT your work. Can you prewrite ideas with details on topic? Can you re-read what you wrote and find the theme or message -- the main idea -- you wrote about? Can you use that theme to add more details about that theme on the topic? Can you use that theme to write a simile about your topic? 2 Find your theme: After you have written your prewrite - what theme shines through? -- What is most important to you about the topic? 3 Draft: Use your theme and pre-writing to write a draft -- six minutes. 4 Add your details: What details can you add to show your theme about your topic?--- elaborate your draft--- add descriptions, dialogue, details, examples, experiences. 5 Think simile: knowing your theme, what can you compare your topic to in a simile? Compare your topic to ____________________. How are your topic and ___________ similar? 7 Now rewrite your draft using your new ideas. 8 Edit for grammar, capitals, spelling.